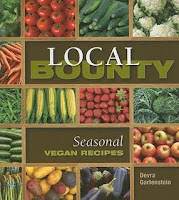 Eco-Libris blog: Vegan, Vegan, Vegan, Vegan, Small Business and one more Vegan! Vegan, Vegan, Vegan, Vegan, Small Business and one more Vegan! 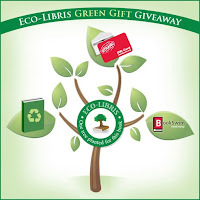 No, this is not a guest list or a sophisticated code - these are the subjects of the books we're giving now on our green gifts giveaway! Yes, we have five great vegan books and one great book on greening up small businesses that we're giving away as gifts on our green gift campaign! Not only that these are great and valuable books, but they're also printed on recycled or FSC-certified paper! So who gets them? It's very simple - if you balance out 50 books, you can choose one of these “green” books as a gift. Customers will be offered to choose from a list of 5-6 books that will be changing occasionally. What do you need to do to get this gift? Choose a book from the list and Email us its name after you complete the purchase on the take action page, or enter it in the comments box during the payment process. Now you can have your cake and eat it too! You can stay vegetarian, vegan, gluten-free, kosher, or just plain health-conscious and still eat delicious cakes, pies, compotes, crumbles, custards, sorbets, ice creams, cookies, and candies. All raw! Here are Jennifer's favorite no-bake, no-guilt treats. You'll learn to avoid white sugar, white flour, dairy products, trans-fats, saturated fats, and processed foods. And you'll be able to make easy-to-follow recipes for a reasonable amount of money, in a reasonable amount of time. Some of the delectable desserts perfect for every occasion are: Summer Berry Compote, Pineapple Upside Down Cake, Chocolate Cupcakes, Crème Brulée, Lemon Tart, Pumpkin Pie, and Knockout Brownie Sundae. Gorgeous color photos provide all the inspiration you need. The ultimate resource for small business owners who want to go green without going broke. Greening Your Small Business is the definitive resource for those who want their small businesses to be cutting- edge, competitive, profitable, and eco-conscious. Filled with stories from small business owners of all stripes, Greening Your Small Business addresses every aspect of going green, from basics such as recycling, reducing waste, energy efficiency, and reducing the IT footprint, to more in-depth concerns such as green marketing and communications, green business travel, and green employee benefits. The marriage of vegan foods and seasonal produce is a natural one: plant-based foods follow annual cycles and both are healthy and environmentally sustainable. Ripe local produce has the most flavor and nutritional value, uses fewer resources to store and deliver, is more economical to buy, and often supports local farmers. Local Bounty reintroduces the world of seasonal produce: leafy greens in the spring, tomatoes, peppers, and summer squash during the summer and fall, and root vegetables and winter squash during the cooler months. The bounty of the garden is transformed into wonderful meals that will truly nourish and satisfy with a minimum of fuss to prepare. Real food, real taste. 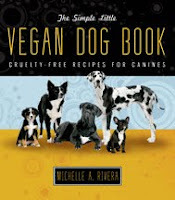 The Simple Little Vegan Dog Book by animal rights advocate Michelle Rivera shows how your companion canine can become a satisfied omnivore. This compendium of nutritious, plant-based recipes provide the nutrients your dog needs in order to maintain good health as well as the flavors they love according to the enthusiastic response from pets being fed this diet. Although vegans will now be able to extend their lifestyle to include what they feed their dogs, you needn't be a vegan or vegetarian to profit from this information. Most dog owners are concerned about the quality of ingredients in commercial dog food. 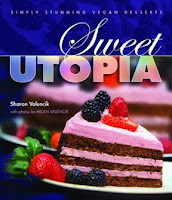 Sweet Utopia shows how to create the luscious flavors and familiar textures of traditional desserts without the use of eggs or dairy. These easy-to-make, yet sensational, desserts are all lactose- and cholesterol-free and perfect for vegans, anyone allergic to dairy or eggs, those who need to watch their intake of saturated fat, and last, but not least, lovers of sweets everywhere. 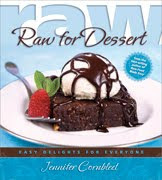 These recipes cover a wide array of goodies including cakes, cookies, pies, puddings, and other treats and are accompanied by over 130 full-color photos that provide inspiration and anticipation. TOFU COOKERY 25th Anniversary Edition celebrates a quarter of a century of helping people prepare delicious dishes featuring tofu. Since then, tofu has become a household word, the health benefits of soy have been validated by thousands of scientific studies, and a goldmine of soy products can be found in supermarkets nationwide. The best tofu dishes, however, can still be made at home. 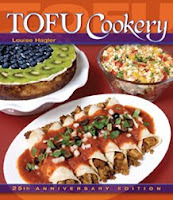 Soy-foods pioneer Louise Hagler expertly shows how easy it is to add a little tofu to both your favorite comfort foods and gourmet fare. To reflect today's tastes and trends, new recipes were added and the original recipes revised to use less salt and smaller amounts of more healthful fats. The latest cooking methods preserve nutrients as well as flavor. Tofu Cookery is a wonderful book, great recipes inside for every occassion. If you love Japanese cooking, you're sure to love this.